Buddy is a true friend among outdoor furniture. Whether as seating for special occasions, picnic furnishings for a small snack between meals or just as a “shoulder” to lean on in quiet moments; Buddy offers the right solution for everything. 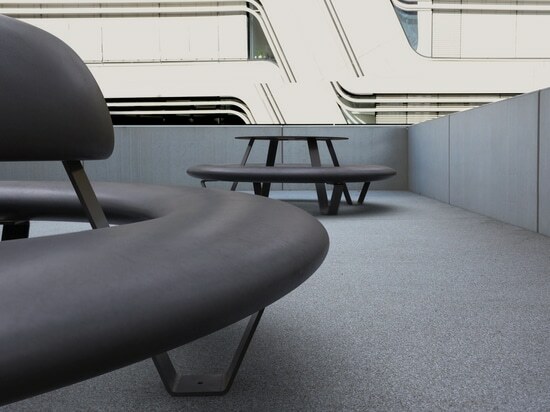 There are three different designs from which to choose: very minimalist as a bench or if desired, also with table or backrest. 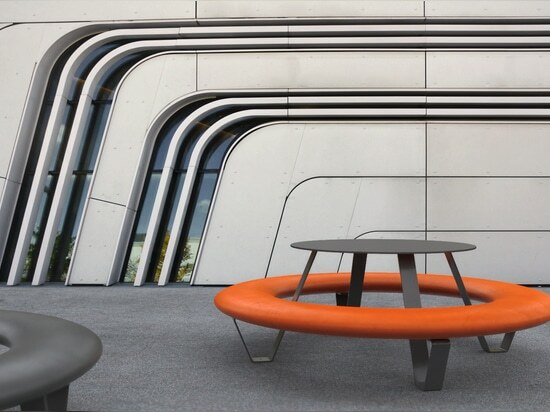 If the users are facing the inside, the ring-shaped design invites exciting rounds of discussion. Facing outward, however, it offers the opportunity to be alone, turned away from others. 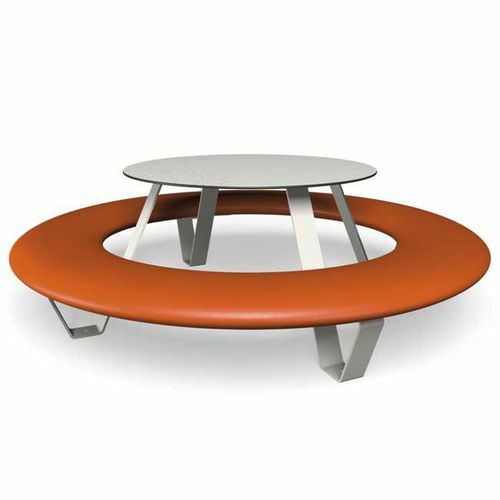 The table is made of food-safe high-pressure laminate so that you can put your sandwiches down without worrying. Graffiti and scribbles can be removed from the surface easily and nearly without a trace. 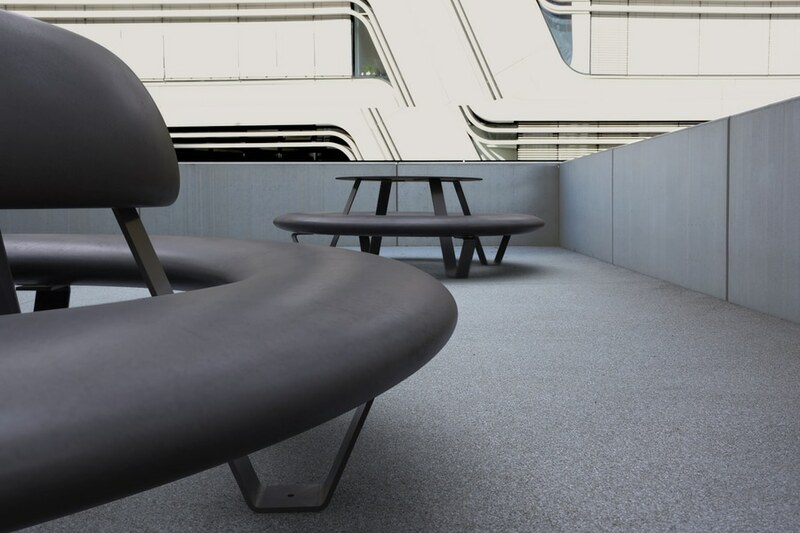 Even on cool days, the polyethelene seating elements ensure that your seat is warm. The steel parts are hot-dip galvanised and have a finely structured coating. They are offered in three different grey tones. 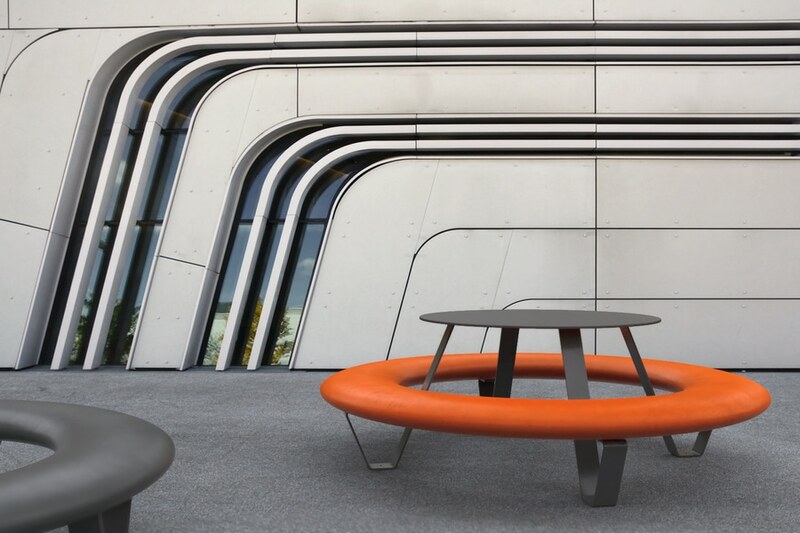 The colours of the steel parts and table surfaces are matched to one another. All materials used can be separated at the end of the product's service life and are 100% recyclable.